Fine sensitivity to colour is essential for designers, art dealers, and fashionistas. 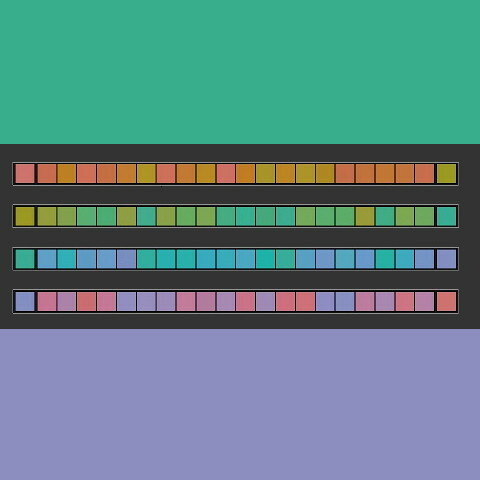 How good is your eye for colour? You can test it online here, fast and free, at xrite, the world’s leading colour measurement and management company. I did well on the test, with only a few tiny mistakes, all of them in the blue range. Blue is my least favourite part of the colour spectrum. And I have blue eyes. I wonder if there is any significant correlation between favourite colours and colour sensitivity? Between eye colour and colour sensitivity? I know that men almost uniformly have less sensitive colour discrimination than women. I wonder what other genetic factors correlate with colour sensitivity? Do gay men have finer colour sense than straight ones, for example?